Since 1946, Slovik Funeral Home has provided full funeral services and pre-need arrangements to the citizens of Edna, Texas (TX). Our professional and caring staff takes pride in providing quality and affordable funeral services that meet the special needs of your family. Slovik Funeral Home offers a complete range of services, from full funeral services to cremations and memorial services and are experience in honoring many faiths and customs. We invite you to contact us with your questions or schedule a visit, 24 hours a day, 7 days a week. It is Slovik Funeral Home’s goal to support you through every step of your arrangements and to pay tribute to the special memory of your loved one. 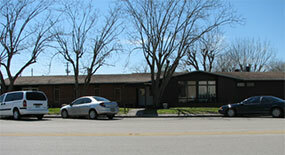 We have a knowledgeable staff of experienced florists ready to assist you in selecting funeral flowers in Edna, Texas. 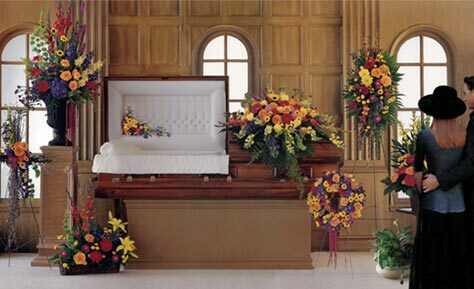 We handle your order with the utmost care and ensure prompt delivery of a beautiful floral tribute to the funeral homes in Edna, Texas.